Kwality is one of the most renowned ice-cream companies in South-East Asia and Middle East established in UAE since nearly 40 years and now has more than 5,000 outlets in UAE. Its ice creams are manufactured by Pure Ice Creams Co L.L.C and is part of the Graviss Group. Its history goes back to the '40s and makes the ice cream giant one of the first few ice cream brands of India. It's also the first brand to commence ice cream manufacturing in the Middle East. With its financial success in both India and Middle East, it has expanded into the African region, to Tanzania and Ethiopia. As mentioned earlier, the ice cream giant is part of the Graviss group, adorning the likes of brands like Baskin Robbins, Meats & More and Zaffran. The group has a team of 2000 employees based in India and the Middle East region. Whereas, Kwality offers multiple types in its ice creams' range, including cones, kulfi, sundaes, coated sticks and cups. Alongside, Kwality offers frozen food including Paneer Tikka, butter, frozen finger food and frozen vegetables. Additionally, they offer varieties in rice, including 'Golden Sella,' 'Creamy Sella' and Basmati Rice. Lastly, Kwality is one of the sponsors for the annual Media and Communication Research Analysis Wing (MCRAW) conference held at Manipal University, Dubai Campus on May 2, 2017.
a) Kwality Icecreams. 2017. Kwality Rice - Kwality Icecreams. [ONLINE] Available at: http://www.kwality.ae/kwality-rice/. [Accessed 25 April 2017]. b) Kwality Icecreams. 2017. Frozen Foods - Kwality Icecreams. [ONLINE] Available at: http://www.kwality.ae/kwality-food/. [Accessed 25 April 2017]. c) Kwality Icecreams. 2017. Icecreams - Kwality Icecreams. [ONLINE] Available at: http://www.kwality.ae/icecreams/. [Accessed 25 April 2017]. d) Kwality Icecreams. 2017. Kwality Icecream - Kwality Icecreams. 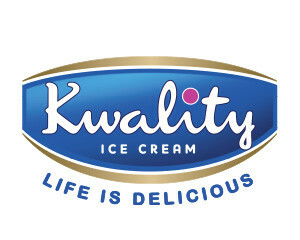 [ONLINE] Available at: http://www.kwality.ae/kwality-icecream-2/. [Accessed 25 April 2017]. e) Kwality Icecreams. 2017. Graviss - Kwality Icecreams. [ONLINE] Available at: http://www.kwality.ae/graviss/. [Accessed 25 April 2017].